We will be going to Andhra Pradesh India from November 5th-14th to equip local pastors, minister to widows, orphans, the sick, and Make Jesus Known in India. There are 1.3 Billion people in India and only 2.3% of people are Christian. We are partnering with Far Corners Missions. Far Corners shares the gospel of Jesus through church planting and through meeting real and pracitcal needs in peoples lives. While we are in India we will work side by side with Far Corners International and minister to orphans, widows, victims of human trafficking, visiting a Leprosy Colony and working with local pastors to plant churches. Final Payment must be made by September 1st. Cash or Check must be given in a City Life Offering Envelope. With “India Trip” written on the front under special offering. 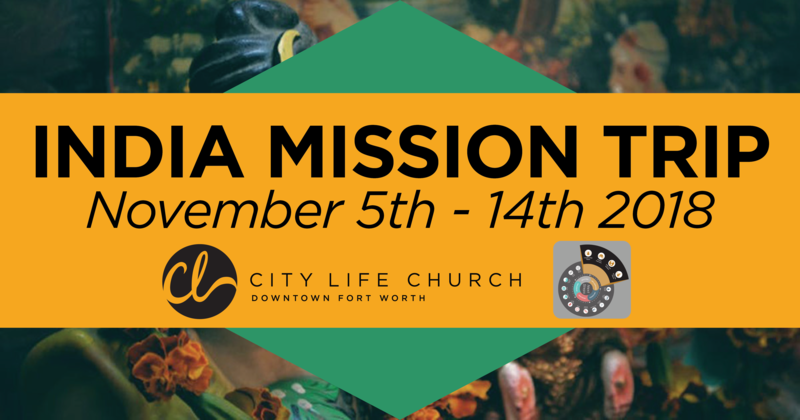 Make Checks payable to City Life Church and write India Mission Trip on Memo line. We are so excited to take this journey with you and make Jesus known in India. If you are in, fill out the CCB form. You will need to get your passport ASAP, as well as apply for a tourist visa. Click the links below to get started.